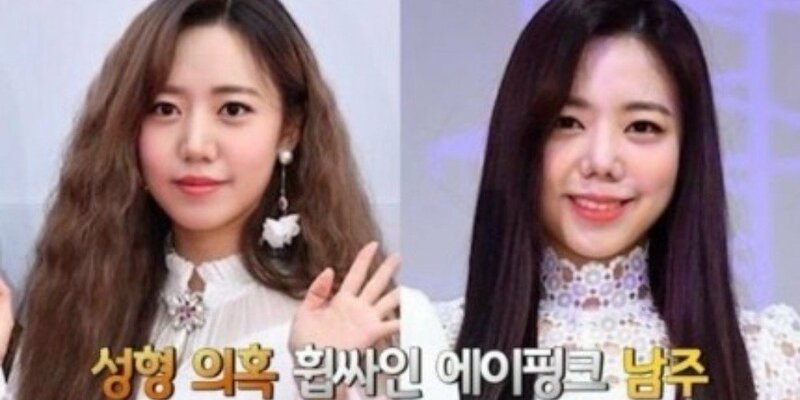 Recently, Namjoo shocked many and took over headlines for her "changed looks". Regarding the cosmetic surgery rumors, A Pink's agency refused to comment, and said,�"There's nothing to say." She explained, "I believe taking care of physical appearance is the foundation�and a factor in competitiveness for celebrities. I think continuing the care on looks is a form of effort," and "I think people who are on TV can take care of their physical appearance as much as they want." MC Hwang Hyun Hee�then asked about A Pink's promotions. 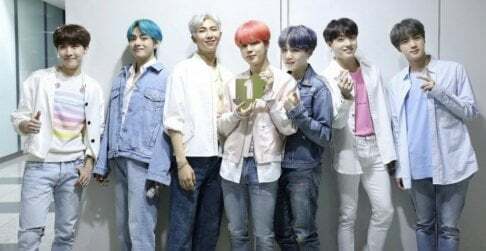 Reporter Kim replied, "In a way, it was noise marketing. A Pink released a fan song for an event and the new song unintentionally gained more attention because of the issue." Hwang Hyun Hee put his thumb up and said, "Noise is the best for marketing indeed."